Experience, craftsmanship, and ethics are just a few words that best describe Future Vision Remodeling. 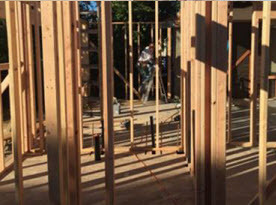 Locally and family owned and operated for over a decade, we have extensive design-build experience in making homes and businesses in Greater San Jose, CA more beautiful. Since 2003, we have been fully licensed and insured, full service home remodeling contractors. We understand the importance of delivering outstanding customer service and delight in every project we undertake. 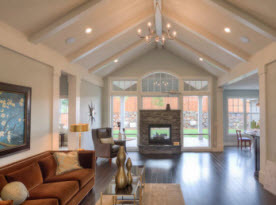 Future Vision Remodeling is committed to providing our customers with the very best products, quality installations and repairs by knowledgeable craftsmen, and excellent daily job site cleanups. 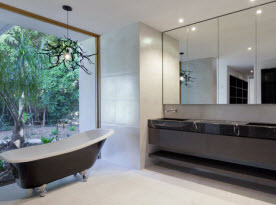 At Future Vision Remodeling, our extensive home remodeling and renovation services will be custom tailored to suit your specific needs and desires. Our expert designers use state-of-the-art 3D home design software that enable us to show you a three dimensional (3D) representational look of your proposed home improvement projects; and make changes before construction takes place. It also allows you to compare different options and see how they work together. We are full service Contractors offering New Construction | Kitchen, Bathroom and Whole Home Remodeling | Room Additions | Water & Fire Damage Restoration | Garage Conversions and Landscape Design. We handle every facet of the project from top to bottom including window and door replacement, plumbing, electrical, painting and we can even install a security system to protect your new investment! A brief list of independent services we provide includes: Roofing, Siding, Hardwood Floor & Solar Panel Installation, Landscape Design & Hardscape Installation, Pool & Spa Construction and much more! We know you have options when it comes to who you can trust with your home improvement needs. 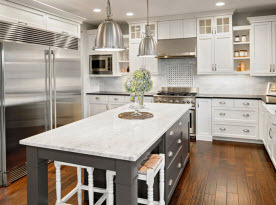 As such, we welcome the opportunity to meet with you and share any information you might need to make smart remodeling and renovation decisions. Call us today to discuss your next project!